Have the students write the words in the lines. You can give them the words if you want to use it as worksheet. 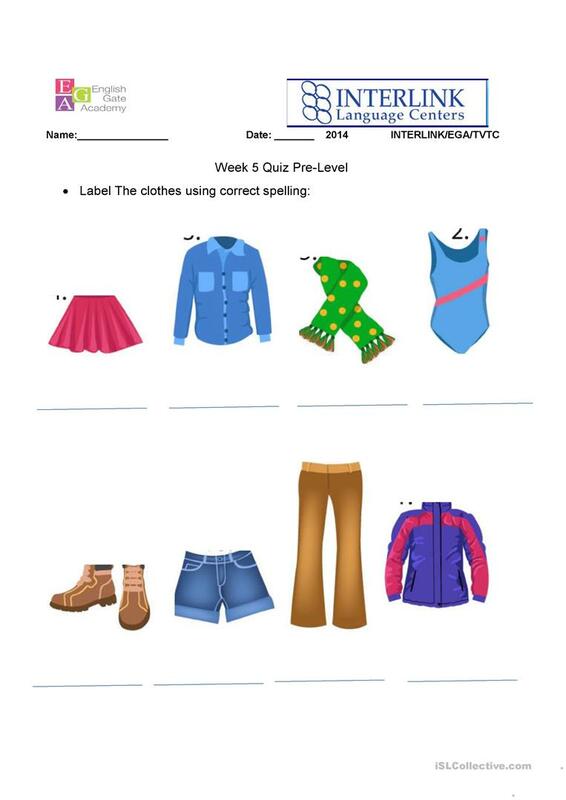 This downloadable printable is recommended for high school students, elementary school students, kindergartners and nursery school students and adults at Beginner (pre-A1) and Elementary (A1) level. It is a valuable material for enhancing your pupils' Writing skills. It is about the topic and words of Clothes, fashion.